The Websites collect both personal information and non-personal or aggregate information from and about you. “Personal information” is information by which you can be personally identified or contacted, and may include your name, email address, mailing address, telephone number(s), and user name. Personal information also may include information that may not be personally identifiable by itself (for example, your reservation dates), but which may become personally identifiable when combined with other personal information (for example, your reservation dates combined with your name). We collect, process and store only that personal information about you that you voluntarily provide or make available to us through your use of the Website. We collect profile information you provide when registering with the Website; information about the use of parking services arranged or reserved through the Website; information relating to your participation in our Relax for Rewards® Program and any other information you may provide through the Website. The Website also may receive payment and payment card information when you pay (or prepay) for parking reservations. Payment and payment card information is processed by a payment processing service provider and we do not store your payment card information on our systems except as may be necessary to arrange for the processing of your payment. We also gather information about Website usage, including statistics on unique visits, referring URLs, repeat visits and page views. 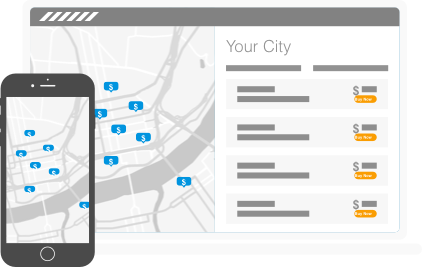 This information is gathered to monitor and improve the use and satisfaction of the Website, but is tracked by IP address and is not associated with your personal information, unless you have logged in as a registered user at ParkPlaceParking.com. We collect information that you choose to provide when you use the Websites to learn about and use our services, including when you make parking reservations with us, join our loyalty programs, manage your account, request quotes, support or answers to specific questions, subscribe to receive promotional emails, coupons and other information, fill out forms on the Websites, respond to surveys, and register for and participate in contests and other promotional opportunities. We use personal information that you give us to communicate with you about important product updates or information and provide you with requested products and services, to register and administer your membership in our programs, and to respond to your inquiries. We use both personally-identifiable information and aggregate information to improve our Websites and our communications with you. We gather and use relevant information, personally-identifiable or not, so that we may design, customize, and offer to you new products and services that may be of interest. While we will only offer to you new products and services we believe you will truly value, you may "opt-out" of receiving such communications from us, as described below under "Customer Choice." We may share your personal information with your company or organization if you use the Websites as part of a corporate account, with our affiliates, with service providers who help us run and maintain the Websites, to an entity that acquires our business, for other purposes that we disclose to you when you provide your information to us, or as required by applicable law or regulatory authority, or in response to legal process to protect our rights and property, or to protect the safety of our users or others. This Website is not intended for, nor do we knowingly collect any personal information from children under the age of 13. However, if the parent or guardian of a child under 13 believes that their child has provided us with personal information, that parent or guardian should contact us if they want this information deleted from our systems. If we obtain knowledge that we have personal information about a child under 13 in retrievable form in our files, we will delete that information from our existing files. This Website may provide links to third-party websites, including those of our business partners. These independent Websites have their own privacy and information collection practices. We have no responsibility or liability for these independent policies, and encourage you to review the websites' privacy policies to understand how they might collect and use personal information. We take the security of your personal information very seriously and are constantly improving our efforts to protect it. We store the personal information you provide us on our secure servers. Access to all of our users' information is restricted only to company personnel and third parties who need the information to perform a specific job (for example, a Relax for Rewards® Account Representative or a Park Place Parking Management Team Member). No electronic communication over the Internet, however, can be guaranteed to be completely secure. Though we take great care to protect your personal information, we cannot ensure or warrant the security of any information that you submit to us, and you do so at your own risk. Please do not use e-mail to send us communications which contain confidential information or which need our immediate attention because your e-mail may not be immediately received by the appropriate business unit at Park Place Parking. You can take steps to secure your personal information, for example, by maintaining the secrecy of your passwords and account information. Also, when you are finished at ParkPlaceParking.com or any of its affiliated Websites, sign off and close your browser window. This helps ensure that someone cannot pose as you online, which is especially important if you are at a computer accessible to others, such as in a library, a school or your office. By using our Website, you agree to receive all communication directly related to the services that you have purchased or reserved. In addition, we're always looking for ways to serve you better, including, from time to time, offering you new products and services that we believe you will find valuable. You, however, will decide what types of such marketing messages you agree to receive. 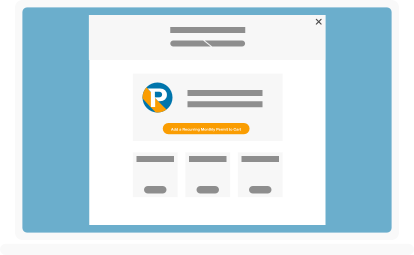 When you register with ParkPlaceParking.com or any of its affiliated Websites, you should indicate if you agree to receive promotional and marketing information about new products, services, and offerings from us and any third parties. We will try to implement requests within a reasonable time, although for a time users may continue to receive communications transmitted based on information released prior to the implementation of the request. This Website may be accessed from outside of the United States. When you submit personal information through the Website, you understand that we may store, process and access your information outside of your country of residence and by using the Websites you agree to allow us and our affiliates, service providers and business partners to access, store, and use the data in any of the countries where we may store your information, including the United States, and you acknowledge that your information may not be subject to the same legal protections provided by your country of residence or citizenship.